HomeAll PostsUncategorizedPatients Love Windsor Dental Group on Yelp! 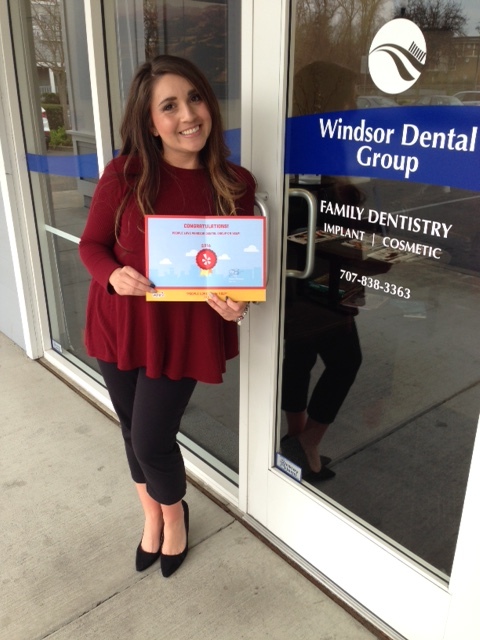 The team at Windsor Dental Group cannot thank our patients enough for all their support and kind words they’ve posted on Yelp! In recognition of receiving all the positive reviews and ratings, Yelp! sent us a congratulatory certificate in recognition of our accomplishment. Pictured here is Nicole, who many of you have spoken to on the phone or in the office, proudly holding our certificate. Thank you to all our wonderful patients and their families who trust us to provide for them the best dental care possible.